Amazon has removed the book, written by an Israeli creative publicist, from its site. Amazon has removed from its site a book whose title purported to show Palestinian Arab history, culture, language and archaeological findings. 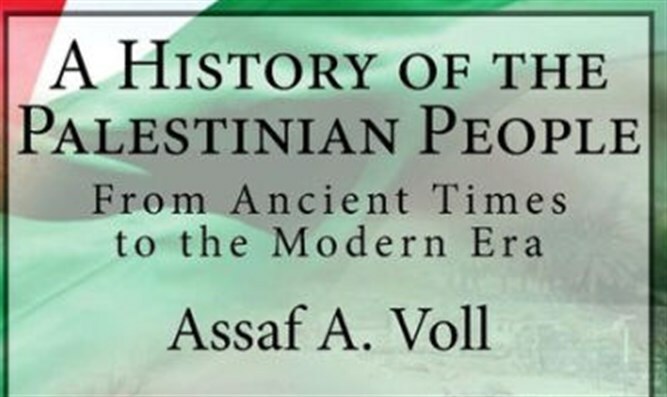 Customers who bought the book "A History of the Palestinian People: From Ancient Times to the Modern Era" by Assaf A. Volt for $7.99 found themselves looking at 120 blank pages - a most striking way of making the writer's point that the Arab "Palestinian People" is a late twentieth century invention. The book's author is Assaf A. Voll from Tel Aviv, formerly an adjunct lecturer at Haifa University who has an M.A. in Jewish Studies. According to the United with Israel website, the book was described on Amazon as “no doubt the most comprehensive and extensive review of some 3,000 years of Palestinian history, with emphasis on the Palestinian people’s unique contribution to the world and to humanity,” and was selling briskly until complaints, thought to be from the anti-Israel community, convinced Amazon to remove it from the category Israel and Palestine History as well as Middle East History where it had been placed. A preview button on the Amazon site had revealed to potential buyers that there was no content, as it does for other blank books on Amazon, such as the best-selling ‘Reasons to Vote for Democrats: A Comprehensive Guide."